Faster, Hotter, Louder - with this slogan nothing will go wrong anymore in the kitchen or at the barbecue. Next to the famous bullhead, two skeleton hands are holding a knife and a fork, the barbecue apron is an indispensable accessory for every metalhead. 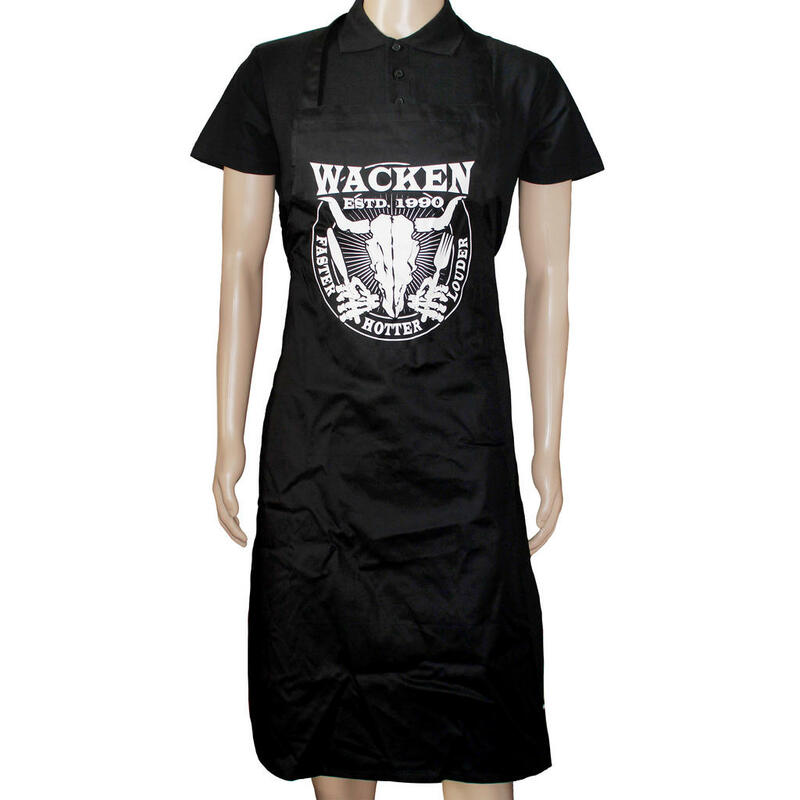 The apron is black and Make in Germany, moreover it is made of 100% cotton.